Blessed to be a blessing – Who’s been sharing God’s Word in East Africa? 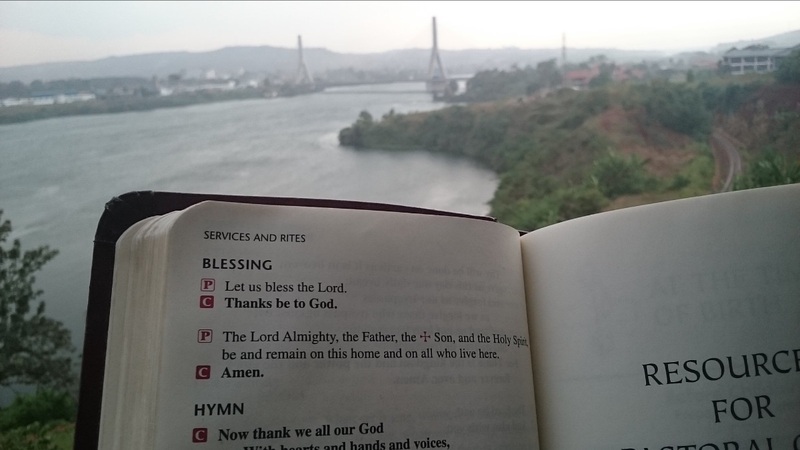 Photo by Rev Jacob Mueller; the view of the Nile River from his hotel room while he was teaching at the Seminary in Uganda. It is a wonderful thing to see God’s people using their gifts to build His kingdom. We are humbled by the volunteers who have a heart for sharing the love of Jesus and are willing to travel all the way here to do it. February and March have been very busy months, and our guest room has been occupied. Our family is blessed to host these servants of God when they come through Nairobi. We are able to introduce them to the local church leaders, walk together with them and see first-hand the impact God’s Word is making on the lives of the people we work with. 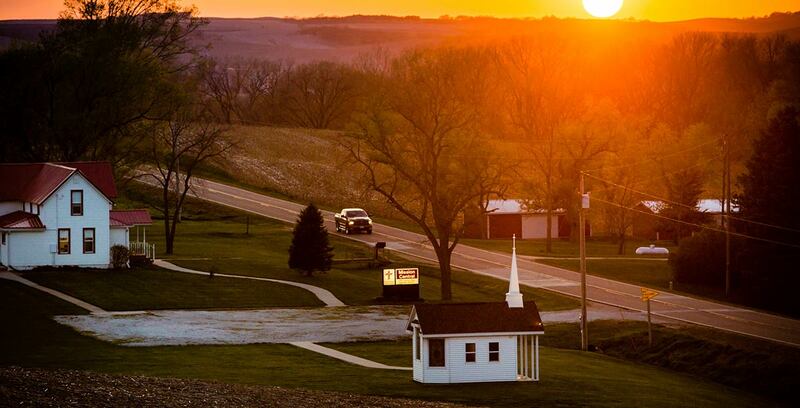 “I have served 45 years in professional ministry in the LCMS—two years as a campus pastor at UW, Madison, WI, four years as associate pastor in Fairmont, MN., four years on the faculty at St. John’s College in Winfield, KS, where I taught Hebrew, Greek, German, Old Testament, the Gospels, Greek readings in the NT., and 33 years as Senior pastor in Maple Grove, Minnesota. I retired last January. I have also taught summer classes at Concordia Seminary, Ft. Wayne, IN. Besides earning my M.Div., I have also earned an MST degree from CTS, Ft. Wayne. I have lectured/taught in India several times, recently in Nigeria twice, and now in Kenya. I currently serve as Chairman of the Board for National Mission of the LCMS. 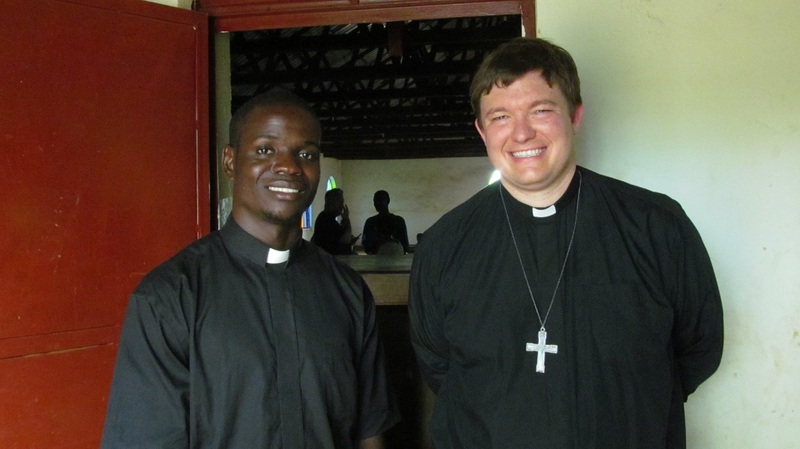 Rev Jacob Mueller, from Holy Cross Lutheran in Emma, Missouri served as a Short Term Theological Educator and taught Romans at the Lutheran Church of Uganda seminary in Jinja, Uganda. Gabby Perez is back in Kenya to partner with different ministries. She will be in East Africa until the end of June. We had the opportunity visit in a home of woman in a Maasi village. Checks payable to The Lutheran Church—Missouri Synod or LCMS. Include Young- Africa” in the memo line. 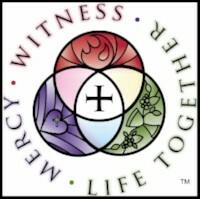 Gifts can also be given securely online through the LCMS website at www.lcms.org/lYOUNG. Georgia Witt: from Kansas City, Missouri; Library Consultant, Matongo, Kenya: Retired missionary returned for a volunteer assignment. 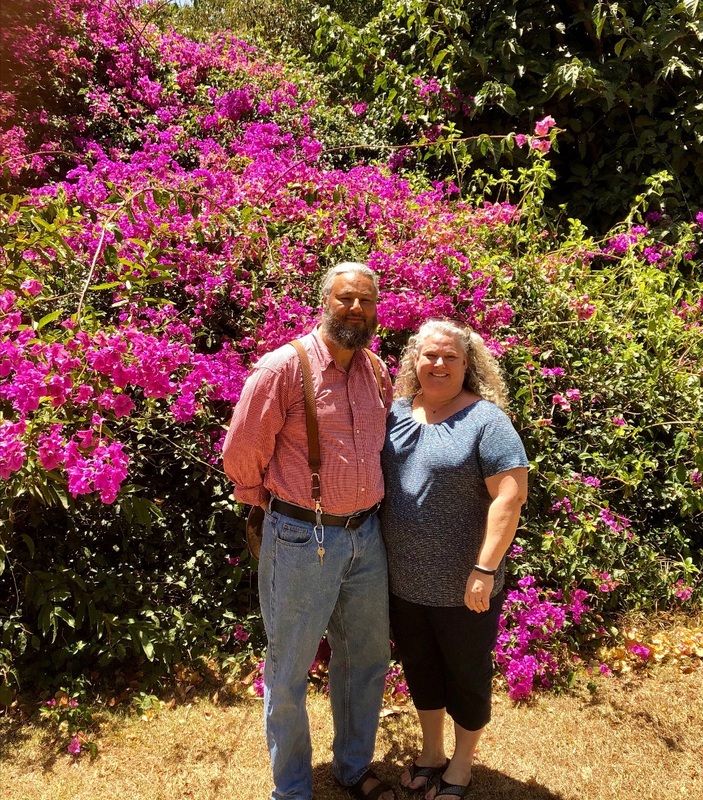 “I began my teaching career in Rockford, IL and then accepted a job as a Team Lead Teacher at Colegio Nuevo Granada in Bogota, Colombia where my sister and husband were missionaries. I accepted a call as a missionary teacher in Garoua Boulai, Cameroon where I served happily 75-77. After my return I met Gary, my future husband. We married and lived our life in South Texas where I served as District Library Director for Orange Grove I.S.D. enjoying every minute and teaching seminars for Educational Region 2 and speaking at the Texas Library Association Convention. After my husband passed away in 2011 I moved to Kansas City, MO. I then kept seeing a posting on Facebook about teachers needed in Africa. I applied and received a call to be a Library Consultant at Matongo Lutheran Theological College in Kenya. I now, after retirement, am a volunteer to the college bringing an automated circulation system for which Trinity Lutheran in Pine Bluff, AR and Christ Lutheran in Platte Woods, MO provided funds! 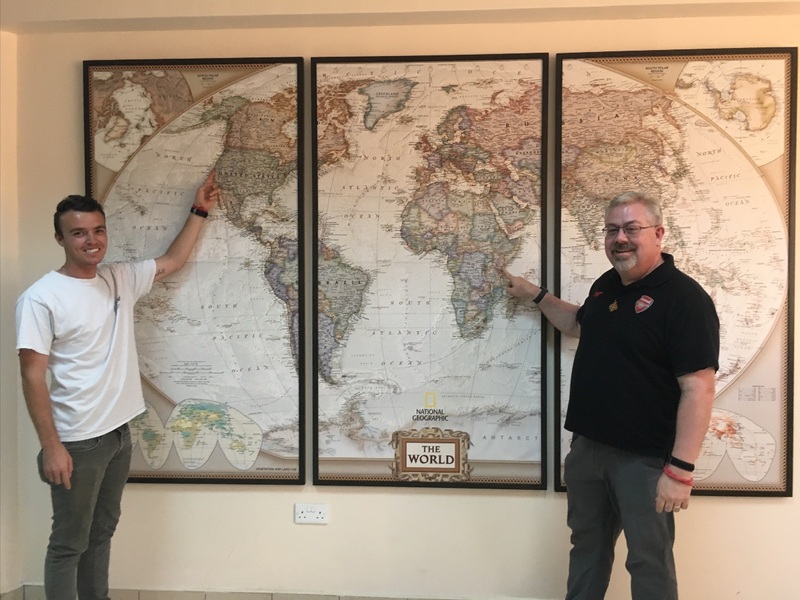 Rev Seth Moorman and Andy Anderson from Bethany Lutheran Church in Long Beach, California came to Kenya to meet with Lutheran ministries and pray about how God might use their church to work together. 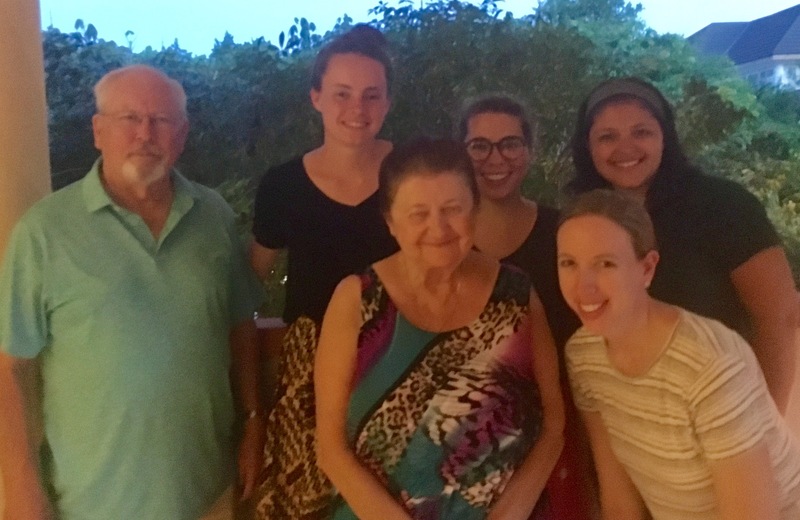 Children’s Program Team: During our Annual East Africa Retreat, these wonderful servants came to teach, play, and sing with the children on our field. From Left: Jim Hendrickson, Abigail Fluegge, Megan McKim, Gabby Perez; Front Row: Elfriede Adams, Molly Christensen. We have the opportunity to shepherd 3 Kenyan Lutheran youth and 3 missionary youth to the National Youth Gathering in Minnesota this summer. Please pray for paperwork and Visas for youth from Kenya to go smoothly. Also, please pray for God to provide funds to help offset costs of the trip for our Kenyans guests. Praise God for all the volunteers, for the lives they have touched, and for the Gospel to take hold in people’s lives. Praise God for all Theological Educators who are teaching and for the students in the Seminaries preparing to be Pastors. Please keep the precious people we have met who live in difficult circumstances, but still radiate the Joy of Jesus in prayer. We are praying for all the people in the US affected by flooding. Praise God for the teaching opportunity for Joel – he has been hired to teach Eighth Grade Social Studies at West Nairobi Christian School starting in July 2019. We thank God for your support, encouragement, and prayers for us.